Take yourself out of marketer mode for a second, and sink back into being a simple consumer of social media. What do you find more engaging: your friend’s Facebook post about the new puppy she adopted from the Humane Society or a post from your favorite fashion brand showcasing a catalog of their new summer styles? Chances are, you liked and commented on your friend’s post, and scrolled past the fashion brand, maybe making a mental note to head to their website later. At most, you liked it. That’s the power of UGC. Your customer’s Facebook or Twitter post proclaiming how awesome (or not awesome) your company is. But wait — how was the puppy post we mentioned UGC? Easy: your friend took the time to tag their local Humane Society in the post, thanking them for a wonderful experience adopting their new pet. That’s kudos to them for the entire Internet to see — plus, exposure to your friend’s individual network of people, who now all know about her positive experience. Why Should I Be Using UGC? The simplest answer to that question lies in one word: engagement. Engagement, that elusive thing we’re all striving for on social, becomes easier to obtain when you actually engage with and highlight your customer’s content. Makes sense, right? Your customers feel special for being chosen; and your followers trust you more for showcasing real people using your product or services, similar to influencer marketing. Another important point: by crediting or tagging individual consumers when you appropriately reshare their posts, you’re also tapping into their individual network of friends and family. More often than not, they’ll also re-share your post promoting them, with even more appreciation. You read that right! 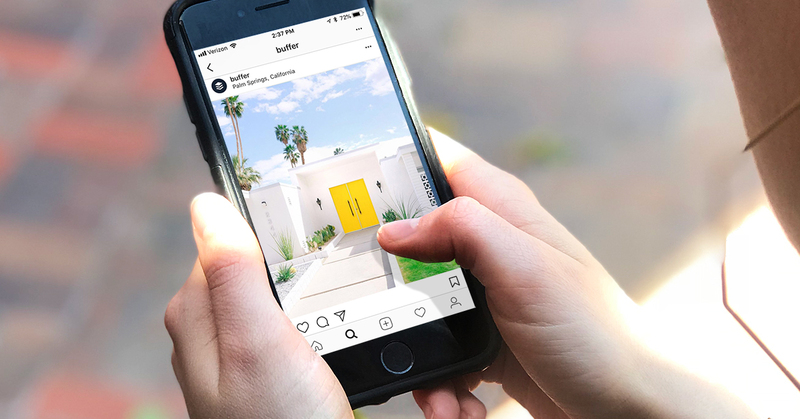 There’s another major benefit to brands looking at launching a UGC program — user content generates a much higher click-through rate when repurposed as ad collateral. Why? Again, it all comes back to the issue of trust. Consumers are smarter and savvier than ever, and they know what highly-produced ads look like. When brands successfully use user content in the place of a glossy ad, consumers believe they’re proving the value of their product or service. Think of good UGC as the ultimate testimonial. Pick your primary network(s). Instagram is often a go-to when it comes to UGC because it’s so visual and it’s easy to find content via specific brand or community hashtags; as stated, engaging with customers’ photos and re-sharing them as a part of your social strategy has proven massively successful for brands in the fashion industry, especially. That being said, you don’t need to be on Instagram to utilize this tactic — there are a lot of great examples of UGC out there that live on other social networks. Create a campaign. One of the best ways to narrow your focus for UGC program is to create a campaign around a specific concept. This is especially useful for brands with multiple products, services or initiatives. Are you a small bakery with multiple locations in your city? You could do a campaign around users sharing your branded coffee cups with their pastry of choice. The opportunities are endless! Figure out a frequency. Do you want to share UGC every day? Once a week? Once a month? Your frequency should be determined by how often you want to share UGC, how it performs when you do, and the amount of participation/available content you receive. Build a bank of content. Once your UGC campaign or contest is running, begin building a bank of content or content sources that you can consistently check for content to reshare. For example: if you have one customer that regularly posts about your product in a meaningful way, don’t be afraid to share their posts more than once! Just be sure that they aren’t the only person you’re promoting. Alternatively, if your campaign allows you to share UGC that doesn’t necessarily include a specific product, but rather a content type or concept (Buffer’s Instagram is a great example), compile a list of social accounts you can reference for future content. Test different tools. Native tools work great for finding and sharing UGC, especially on Twitter and Facebook, because retweeting and sharing are a part of those networks’ post tools. However, while it’s easy to find content on Instagram by searching relevant hashtags, it’s not as easy to properly share. Tools like Later, Sprout Social and a bunch more help make the curation process easier, as well as asking users for permission to re-post. Incentivize your audience. Worried about receiving enough UGC to sustain a campaign? One great way to soliciting UGC from your followers is to create a contest! Have them submit a post (a photo, video, text, whatever you’re looking for) and all entries are randomly entered to win a prize at the end of a specified period of time. Whether it’s weekly, or monthly, it should be consistent, and the prize should reflect the amount of time and effort that would go into them submitting content about your company. In other words, the bigger the ask, the bigger the expected reward. Finally, be sure you’re following FTC guidelines. This may include using a third-party contest tool to confirm entries. To protect yourself, be sure to write Terms and Conditions for the contest. If you have a legal team, you’ll want to include them in this process. Keep this list handy to make sure you’re on point when it comes to UGC etiquette. Always, always, always ask for permission from the user before sharing their post, particularly on networks like Instagram. It’s one thing to hit the ‘Share’ button on Facebook — it provides built-in attribution — but on Instagram, you have to download the photo directly and re-post as your own (for now). To provide attribution, brands often post something in the caption explaining that they’ve re-posted the content with permission and tag the user who created that content. But it’s not enough to just take the content and re-share with attribution; it’s proper etiquette to always ask permission first. You can do so by commenting directly on the post and asking, or sending a direct message to the user. See above. It can’t be said enough — never steal content that isn’t yours, and always provide proper credit. Copyright infringement is a big no-no! DO: Give major kudos to any posters whose UGC you share. One way to up the ante with your UGC is to always give (well-deserved) props to whoever you’re re-sharing from. Thank them sincerely when you ask them permission, and in the post you eventually create. When they comment on your post, thank them again! If they re-share their original post from your account or write anything else about you in response, thank them, and thank others who interact with the content. Engage with your audience in a meaningful way — that’s what successful social media is all about. DON’T: Simply get their permission to post and make it all about you and your business. The reason you’re able to share this awesome content is because your customer or follower took the time to post it. One of the biggest mistakes you can make when it comes to UGC is making it all about you. DO: Set goals, and ask your followers for feedback. Always set SMART goals in any marketing initiative. Without setting measurable goals, how on earth will you know if it’s working? If your goal with your UGC campaign is to help get a higher engagement rate on your social media channels, track all of the UGC posts you share for a specified period of time and benchmark your progress. If you see no lift, it’s time to re-evaluate. Never assume. Hope isn’t a strategy. Still need help? Download our 8-Step Influencer Marketing Checklist, below — there’s a bonus 3-Point Guide to User Generated Content included! When it comes to influencer marketing, there are a lot of questions. How do you find the right influencers? What networks should you be running your campaign on? How much should it cost, really? Use this checklist to answer all necessary questions and properly plan your first influencer program, top to bottom, in eight simple steps.